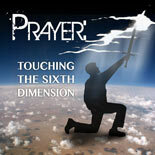 Prayer is a weapon of a different dimension. If we don’t see it for what it is, then we won’t work it for what it is. Let’s participate with Him!